I’m currently planning the next episodes. However, they are taking longer to plan because they are technically harder to do. Those are fun stuff for me to try though. For example, in a future episode, I’m planning to use this effect that I’ve been meaning to try. 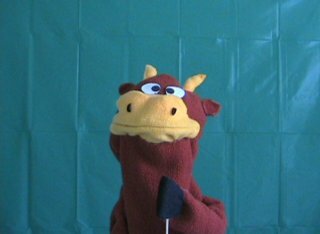 My objective is to make something appear to be floating in the air using editing tricks without green screen or animation. So in the following video, I try to make some Scotch tape hover in the air. Why Scotch tape? No good reason. That just happened to be an object sitting on my desk and it’s not going to break if I accidentally drop it… unlike the cup. Trying it for the first time, I’m satisfied with the result overall. It wasn’t perfect and can use some improvements, but hey, that hovering looks pretty darn cool to me. Anyone want to guess how it’s done? Here’s a hint. 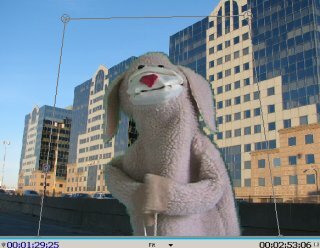 I use Adobe Premiere Pro, as usual. After putting the video footage of the normal clock in the timeline, move the cursor to the last frame. Go to File => Export => Frame, and save the file. This way, I know the graphic I got would be size 720×480, just like the resolution of the original video. And since it’s the last frame, it will connect well with the little animation that I’m going to make. 2. Make copies of the picture and start putting crazy text in them. Hopefully, you filmed this at the right time when the clock was showing numbers that have both horizontal and verticle bars. You can now start doing some copying and pasting to spell out whatever you want. For example, I can’t spell out “today” because it’s too long, but I can spell out “2day”. Make some frames that have the clock displaying garbage so they can be used to show the digits being scrambled. And make some that spell out actual words. In this case, “you”, “die”, “2day”, and “LOL” (all real words) are the ones we spell out. 3. Go back into the video editor and place them into the timeline. From this picture of the timeline, you can see how long each frame lasts if you pay attention to the time code on top. The non-sense frames go by really fast, each lasting only a fraction of a second. And since they go by so fast, I can repeat each one and people generally won’t notice unless they pay really close attention. The actual words, though, will last longer so the viewers can actually read the text. 4. Watch it and fine-tune the tempo. Adjust the length of each frame again to get the speed of clock change that you want. That’s it! 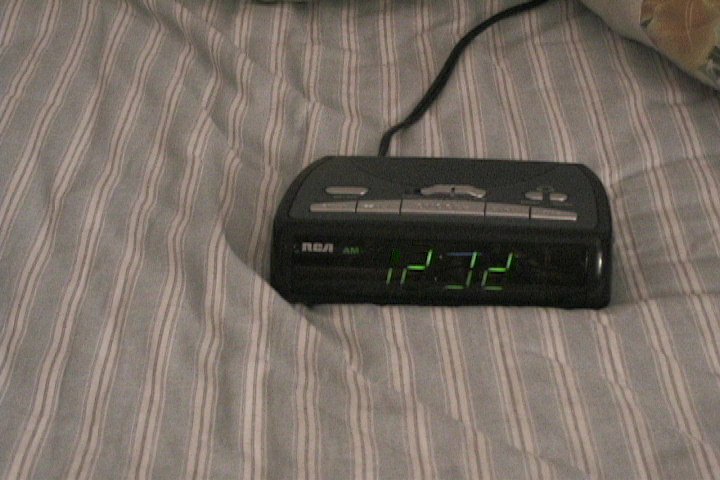 Now you can make clocks display all kinds of things! First we need the raw footages. The first picture is the car. It’s a still picture, not a video. 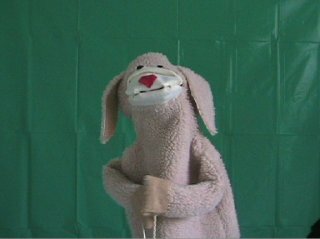 The second picture is a video that we filmed in front of a green background for green screen effect. Now, resize both images so the sizes match up. And then remove the green background using green screen effect. Notice that there are some green parts on the corner that we didn’t do a good job removing. Also Moostifer is sort of hanging in the air because the bottom of the video is lower than the driver’s window frame. That’s fine because we’ll soon use a garbage matte to fix it. Now, apply the garbage matte. When you draw the matte, make sure this shape is approximately the shape of the car window. 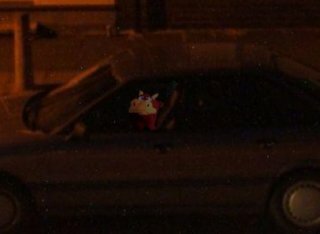 This will create an illusion that Moostifer is actually sitting in the car, because he is being blocked by the windshield, the car door, etc. 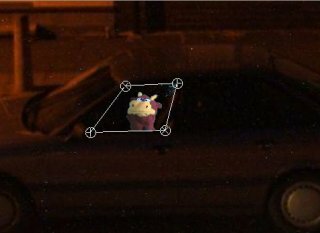 (Of course, you can always get the puppet into a real car and then film it. I didn’t feel like going through the trouble of finding a location for just one shot though. A “garbage matte” is often hand-drawn, sometimes very quickly made, and can be used to exclude parts of an image that another process, such as bluescreen, would not remove. 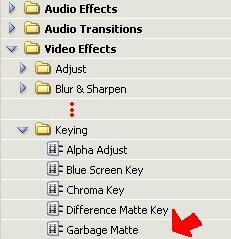 The name stems from the fact that the matte removes “garbage” from the procedurally produced image. This “garbage” might include a rig that is holding a model or the lighting grid above the top edge of the bluescreen. Garbage mattes can also be used to include parts of the image that might otherwise have been removed by the bluescreen, such as too much blue reflecting on a shiny model (“blue spill”). Notice that on the left edge, there’s a little bit of green that wasn’t removed very well. And then there’s that black thing on the lower righthand corner…. that would be my head (more about my head later… or not). Those are the two things that we do not want to see in the video. So what do we do? Garbage matte comes to rescue! And if you had “Garbage Matte” selected (highlighted), you can just drag the four corners to define the desired region. Now we see Bobby, who’s within the trapezoid-shape region we defined, and we no longer see the two things we were trying to remove! 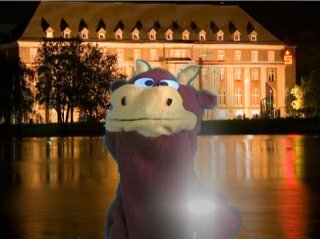 I used Adobe Premiere Pro, and for good results, your best bet is probably to look for third-party plug-ins that specifically do glowing effects. In this video, however, I chose to use the built-in Alpha Glow effect. This effect adds a glow to specific objects in a video, be it some kind of text, shape, or a picture. Note that for the ball of “daylight” effect, you really only need to draw an oval and make it glow. In this example, I’m going to have other shapes like rectangle, triangle, and text glow as well. They are just there to serve as examples. And then in the Effect Controls Window, you will see the different variables. The glow is currently the default value: gray. So although the quarter circle is yellow and the text is green, they are still glowing the same gray. For best effect, you might want to tweak the color of the object and the glow to match each other. 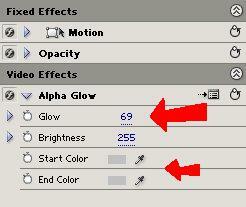 You can also change the “Glow” option to make the emitting rays longer or shorter. And that’s how the glowing effect is done. And to have the characters hold and toss the glowing objects, it’s just like making them hold and toss non-glowing objects. Just carefully adjust the positions and sizes of the caption file to match the characters’ hand movements. 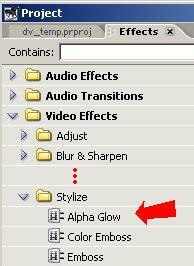 The glowing effect is associated with the caption file so you don’t need to worry much about it. And that’s how you throw daylight around. I’m kinda behind on writing up these editing tricks, aren’t I? 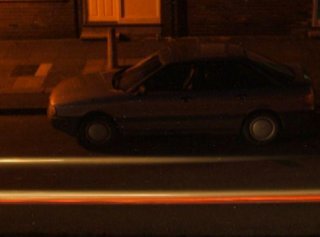 Anyway, here is one trick that’s useful when you want to film footage in daylight and then pretend it’s filmed at night or in a dark area. I’ve used this trick in both Obscure UCLA Facts You Didn’t Know, and Episdoe 12: Daylight Saving. Let’s look at the before and after pictures. The one on the left was the raw footage. It was filmed in front of a green background because it was originally planned out to be a green screen shot. I later abandoned the idea. The one on the right is the finished product, as seen in the video. 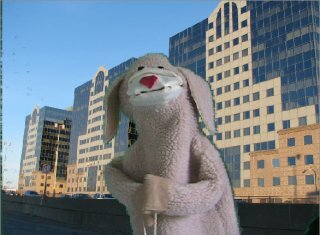 The effect is done by adjusting the video’s brightness and contrast settings. I did mine in Adobe Premiere Pro, but most editing software should have this option. 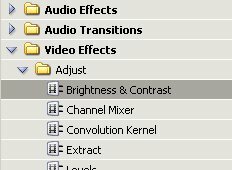 First, in the Effects window, find Video Effects => Adjust => Brightness and Contrast. Drag it into the Effects Controls window. 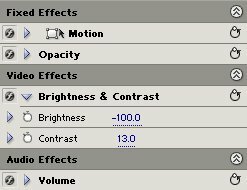 And then in the Effects Controls window, adjust the brightness and contrast settings. I changed the brightness to -100 and the contrast to 13. So basically I dialed down the brightness and upped the contrast. Now you can turn day into night (just like Mr. Burns)!